SINGAPORE & UNITED KINGDOM; OCTOBER 23, 2018 – BandLab Technologies, a collective of global music brands, today announced the acquisition of popular music making media brands, The Guitar Magazine and MusicTech from Anthem Publishing in England. The editorial and commercial teams for both brands will continue to operate in the UK. The MusicTech and Guitar Magazine office remains in the United Kingdom, while parent company, BandLab Technologies, is headquartered in Singapore. BandLab Technologies is a collective of global music brands with a vision to connect the world of music. This includes BandLab, the group’s flagship digital product – a social music platform that enables creators to make music – and share the creative process with musicians and fans. Together, our brands share a passion. We’re driven by integrating the physical, digital and social supply chain, to enable better experiences, opportunities, and connections for all music lovers. Established in 2016, BandLab Technologies is headquartered in Singapore. For more information, visit https://bandlabtechnologies.com. The Guitar Magazine is a home for all guitar lovers. Our in-depth equipment reviews, workshop features, artist interviews and vintage coverage make The Guitar Magazine a must-read. 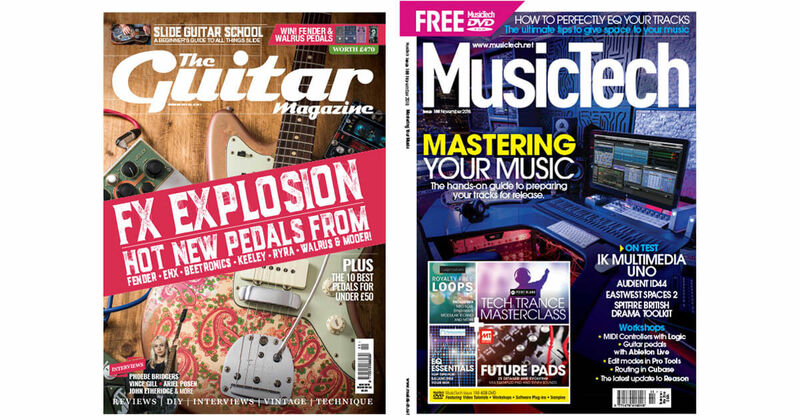 Whether you’re a casual strummer or a pro musician, The Guitar Magazine gives you all you need to learn, fix, build and play. With teams in Singapore and the United Kingdom, The Guitar Magazine was founded in 1991 and has been part of BandLab Technologies since October 2018. MusicTech magazine and MusicTech.net are an integrated magazine and website dedicated to the latest trends, technique, gear, and software within the world of music production. Both magazine and website are brought to you by a panel of dedicated experts working in the fields of recording, mixing, and mastering, across every major DAW and within studios packed with the latest and classic gear. We bring you the latest news as it happens, exclusive reviews of the latest studio hardware and software, in-depth technique features and round-ups of the best music gear. With teams in Singapore and UK, MusicTech has been part of BandLab Technologies since October 2018.